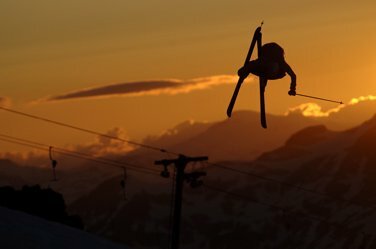 After 10 amazing summers of running High North Ski Camp in Whistler we have decided to call it quits and we wanted to take this opportunity to thank everybody for the support over the years. It has been a difficult decision to make as we have had so much fun running the camp, not to mention the amazing friendships we have made over the years, both with staff and campers. Our summers have been enriched by the most dynamic campers and staff that we could have hoped for. It is mind boggling to see how much things have changed within the sport since the camp began. In the early days only a few coaches had twin tips, there were no rails and just a handful of campers in a session. The past few summers have seen entire sessions with twins, camper&rsquo;s hucking tricks with as much style as the coaches and a dig crew maintaining the biggest skier-only terrain park that the Horstman Glacier has seen. The one thing that remained was the spirit behind High North. The camp was always about having fun and pushing personal limits, whatever your ability. What is it that has led us to this decision? Our number one reason is the cost of putting on the camp in Whistler. In order to keep the program rolling at the same level means large increases in price. A lot of this is due to the huge jump in the valuation in the Canadian dollar. For the majority of our campers that need to fly in, camp would cost at least $3000 and it seems like this is going beyond what most campers can afford. So where do you go now for your summer fix? New Zealand is still pretty far away. Hood is still just Hood unless you&rsquo;re a diehard skater. I&rsquo;d still drop your hard earned money coming to Whistler, just be sure you make the right choice. For the money, I&rsquo;d go with Momentum where they&rsquo;ve got good features and fun coaches. Dave Murray offers a great program if you&rsquo;re not as experienced in the park. Otherwise, stay away from the big camps and save your money and come out in the winter when you can ride one of the largest parks in the world and get deep POW all in the same trip! Special thanks to all the coaches, diggers, staff, campers, K2, Smith, Newschoolers.com and anyone who ever picked up a shovel to help out. Be sure to drop us a line &ndash; we&rsquo;ll be keeping highnorth@telus.net for a while. PS This fall we adopted 2 amazing kids from Ethiopia. It&rsquo;s been a totally enriching experience for us and they are doing great. So far they are having a blast here in Canada and we&rsquo;ve already got them out shredding and I can proudly say that Solomon has already landed a strait air! If you end up making it out to Whistler and see us (we&rsquo;re kind of hard to miss&hellip;) be sure to say hi!